Cardinals mob David Freese after his 11th inning home run against the Rangers forced a Game 7. Was it the greatest game ever? The best World Series game? The top post-season game in history. Time will be the judge, but the Cardinals never-say-die 10-9 win that denied the Rangers their first World Championship joins a long list of great World Series Game 6 contests. St. Louis became the first team in post-season history to overcome two-run deficits in the ninth and 10th inning to win. David Freese, who won the game with a home run in the 11th after his two-out, two-strike, two-run triple tied the game in the ninth, became the first player in post-season history to hit a pair of tying or winning hits in the ninth inning or later. Meanwhile, twice Texas was within a strike of a championship, and lost. The Rangers appeared to have victory in their grasp when Josh Hamilton hit a two-run homer in the top of the 10th, and lost. Some are already calling it the best World Series game in history. And it may we ll be. Following three days of rain in New England, the World Series resumed with Cincinnati holding a 3-2 lead in games. The Reds took a 6-3 lead into the eighth inning before Boston pinch-hitter Bernie Carbo hit a two-out, three-run homer to tie the score. Dwight Evans saved the day for the Red Sox with a great catch on Joe Morgan’s bid for a game-winning hit in the 11th. Then Boston’s Carlton Fisk, right, wishing the ball fair, homered off the left-field foul pole leading off the 12th to send Boston into delirium. Phillies closer Mitch Williams was brought in to protect a 6-5 lead in the bottom of the ninth, but walked leadoff hitter Rickey Henderson and surrendered a one-out single to Paul Molitor. On a 2-2 count, Toronto’s Joe Carter sent a home run over the left field fence to give the Blue Jays the 8-6 win and their second consecutive World Championship. Carter joined Pittsburgh’s Bill Mazeroski as the only players to end World Series with walk-off home runs. The Red Sox were one out (and later one strike) away from winning their first World Series since 1918 before the Mets rallied. Singles by Gary Carter, Kevin Mitchell and Ray Knight produced a run, then Bob Stanley unleashed a wild pitch that allowed the tying run to score. Mookie Wilson then tapped a little dribbler down the first base line that went through the legs of Bill Buckner as Knight raced home with the winning run. The Twins and Braves entered the bottom of the 11th inning tied at 3-3. Minnesota center-fielder Kirby Puckett, left, who earlier in the game made a great catch to rob Atlanta’s Ron Gant, crushed a 2-1 liner over the left-center field wall to send the Series to a seventh game. The image of Puckett rounding the bases, arms raised in triumph, was punctuated by CBS broadcaster Jack Buck saying “And we’ll see you tomorrow night!” The Twins then won Game 7, 1-0, in 10 innings behind Jack Morris. With the score tied 3-3, the Cubs stranded Stan Hack on third base with nobody out in the top of the ninth. Detroit catcher Mickey Cochrane led off the bottom of the ninth with a single, and scored the winning run two outs later on Goose Goslin’s base hit to right field. Detroit won its first World Series, while the Cubs continued their championship drought, which has now reached 104 years. The legend of Mr. October was born on a cool night in the Bronx. New York’s Regg ie Jackson, below, joined Babe Ruth as the only players to hit three home runs in a World Series game in leading the Yankees to their first title in 15 years. Jackson hit a record five home runs, including four in his final four at bats, to earn World Series MVP honors. Down 1-0 and three outs from elimination, the Royals get a break when umpire Don Denkinger called Jorge Orta safe on a disputed play at first base. After a single by Steve Balboni and a sacrifice, pinch-hitter Dan Iorg knocked in the tying and winning runs to force a Game 7. The Royals win 11-0 to win the Show Me State World Series and their only World Championship. The Yankees, who trailed the Series 3-1 at one point, won Game 5 to send the festivities back to Milwaukee. A home run by Gil McDougald and run scoring single by Bill Skowron gave the Yankees a two-run lead in the top of the 10th, but Hank Aaron pulled the Braves within a run with an RBI single. With the potential tying and winning runs on base, Frank Torre lined out to McDougald at second base. Dave Winfield’s two-run doubles gives Toronto its first World Championship. Brooks Robinson’s sacrifice fly plates Frank Robinson with the winning run. The Dodgers Clem Labine and Yankees Bob Turley traded zeroes into extra innings before Jackie Robinson’s single over the head of New York left-fielder Enos Slaughter drove in Jim Gilliam. Stan Hack’s double drives home the winning run in the last World Series game the Cubs have won. Jack Morris hurled 10 innings of shutout ball to lead the Minnesota Twins to a 1-0 win over the Atlanta Braves in Game 7 of the 1991 World Series. There’s an old adage that says pitching wins championships. Throughout the long history of baseball, that’s certainly proven correct. And the best pitching generally wins out in championship situations, where 23 World Series have been decided by shutouts in the final game. Put another way, more than one out of five World Championships has been decided by shutout, including six 1-0 games and seven 2-0 contests. The very first World Series in 1903 finished in a shutout as the Boston Americans, behind Bill Dineen, beat the Pittsburgh Pirates 3-0. The New York Giants won their first World Series via shutout, when legendary pitcher Christy Mathewson blanked the A’s for the third time in the 1905 World Series. The Chicago Cubs won their first World Series by shutout as Mordecai “Three Finger” Brown beat the Detroit Tigers 2-0 in 1907. The Cubs repeated the feat in 1908 and haven’t won since. Hall of Famers like Mathewson, Brown, Stan Coveleski of the Indians, Dizzy Dean, right, of the Cardinals and Sandy Koufax of the Dodgers all pitched Series-clinching shutouts. Johnny Podres gave Brooklyn its first and only World Championship when he blanked the Yankees 2-0 in Game 7 of the 1955 World Series. Two years later, Lew Burdette gave Milwaukee its only title, stopping the Yankees 5-0 in the Bronx. In the only decisive game to go into extra innings scoreless, the Jack Morris pitched the Minnesota Twins to a World Championship with a 1-0, 10-inning win against the Atlanta Braves in 1991. Recently, both the Boston Red Sox in 2004 behind Kevin Lowe and the Chicago White Sox in 2005 behind Freddy Garcia ended near-century long title droughts with shutout wins to complete four-game sweeps. Ironically, the New York Yankees have only four Series-clinching shutout wins amongst their record 27 World Championships — Spud Chandler in 1943, Johnny Kucks in 1956, Ralph Terry in 1962 and Andy Pettitte in 1998. Bill Dineen pitched his second shutout and earned his third victory as the Boston Americans won the final four games to defeat the Pittsburgh Pirates in the first World Series ever played. Hall of Famer Cy Young won the other two games for Boston. With great pitching dominating the play, hitters obviously had a rough time at the plate. Boston batted .252 while Pittsburgh, despite the presence of National League batting champion Honus Wagner, hit .237. Mordecai “Three-Finger” Brown threw a seven-hitter to clinch a 2-0 triumph and a Cubs sweep of the Series (there was one tie game). The Cubs dominated the contest and made amends for their Series loss to the crosstown rival White Sox the previous year. 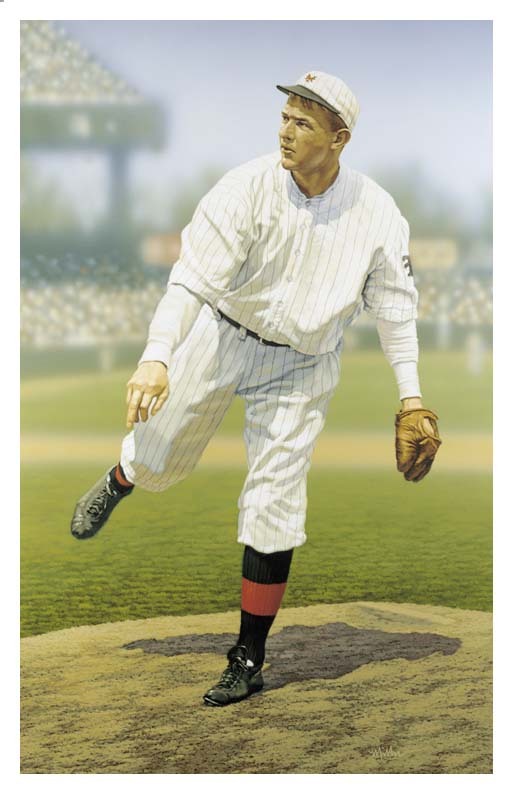 This time the Cubs’ Orval Overall pitched the clincher, allowing only three hits and striking out 10 batters to give Chicago back-to-back World Championships (they haven’t won since). Only 6,210 fans witnessed the finale in Detroit, the smallest crowd in Series history. Pittsburgh’s Babe Adams won this third game of the Series and pitched his third six-hitter to lead the Pirates to victory in Game 7. Hall of Fame shortstop Honus Wagner of Pittsburgh hit .333, with seven RBIs and six stolen bases. Appearing in what would be his last Series (although he would be an active player through 1928), Cobb batted only .231 but led Detroit with six RBIs. Cleveland won its first World Series when Stan Coveleski pitched his third five-hitter of the Series and earned his third win, beating Brooklyn’s Burleigh Grimes. Indians pitchers held the Robins to just two runs in the final 43 innings of the Series. The Giants won the first Subway Series when Art Nehf held off Waite Hoyt and the Yankees 1-0 in a classic pitchers duel. Giants shortstop Dave Bancroft scored a first inning run which held up. 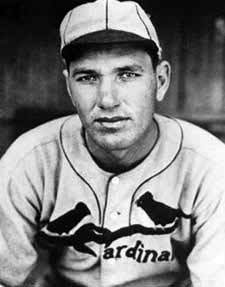 The Cardinals exploded for seven runs in the third inning and rolled to an 11-0 victory over the Tigers behind Hall of Famer Dizzy Dean. Dizzy and brother Paul combined for 49 wins in the regular season (31 by Dizzy) and all four St. Louis victories in the World Series. In Game 7, a hard slide by the Cardinals Joe Medwick momentarily injured Tigers third baseman Marv Owen and incensed Detroit fans who threw empty bottles, fruit and other debris onto the field. In an effort to avoid a possible riot, Commissioner Kenesaw Mountain Landis stepped in and removed Medwick from the game. St. Louis collected 10 hits against Yankee ace Spud Chandler but was unable to score on any of them. The Bombers needed only a two-run homer from Bill Dickey in the sixth that sealed a 2-0 triumph and avenged a loss to the Cardinals the previous year. The win gave Yankee manager Joe McCarthy had his seventh (and final) World Series Championship. Next year finally arrived in Brooklyn as young southpaw Johnny Podres pitched the Dodgers to a 2-0 win over the hated Yankees and their first World Championship. Podres, who surrendered eight hits and two walks, was helped by a spectacular catch by Sandy Amoros who somehow managed to snare Yogi Berra’s long drive down the left field line and turn it into a double play in the sixth inning. 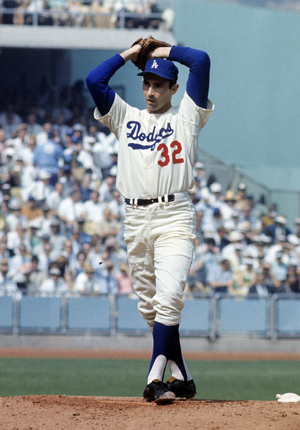 Gil Hodges knocked in both runs for the Dodgers, who had lost seven previous times in the World Series; five times to the Yankees. The Dodgers would play two more seasons in Brooklyn before moving west to Los Angeles. The Yankees got their revenge when sophomore Johnny Kucks pitched a three-hitter, outdueling Dodgers ace Don Newcombe, a 27-game winner in the regular season, in the seventh and deciding game. Yogi Berra hit a pair of two-run homers, Elston Howard a solo shot and Moose Skowron a grand slam to account for all the Yankee runs. The final three games of the Series were shutouts, as Don Larsen pitched a perfect game in Game 5 and Brooklyn’s Clem Labine outlasted Bob Turley 1-0 in 10 innings in Game Six. For the third straight year the World Series went seven games, and for the third straight year the championship was decided by a shutout. This time Milwaukee’s Lew Burdette stifled the Yankees for this third complete game victory and second shutout of the Series. Hank Aaron led the Braves with three home runs, seven RBIs and a .393 average. Yankee hurler Ralph Terry, who gave up the deciding home run to Pittsburgh’s Bill Mazeroski in 1960, pitched a complete game, four-hitter to beat the Giants 1-0. With runners on second and third and two outs in the ninth, San Francisco slugger hit a vicious line drive that second baseman Bobby Richardson snared to end the Series. New York scored its only run in the fifth inning when Tony Kubek’s double play grounder plated Moose Skowron. 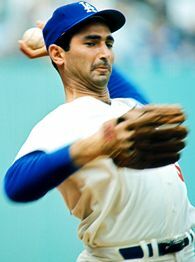 Pitching on two days rest, Los Angeles ace Sandy Koufax, left tamed Minnesota on three hits and struck out 10 Twins in a complete game shutout. The Dodgers scored their only runs in the fourth inning on a home run by Lou Johnson and a run scoring single by Wes Parker as they won the World Series for the second time in three years. Dave McNally pitched Baltimore’s third straight shutout as the Orioles limited the Dodgers to just two runs and a .142 batting average in the four-game sweep. Frank Robinson’s fourth-inning home run off Don Drysdale provided the only scoring. The Dodgers failed to score a single run over the final 33 1/3 innings of the Series. Scott McGregor pitched a five-hitter and Eddie Murray knocked in three runs with a pair of homers to lead the Orioles to a World Series title in Game 5. Baltimore pitching limited Philadelphia slugger Mike Schmidt to just one hit in 20 at bats. Proud papa Bret Saberhagen, who became a father the day before, pitched a five-hit shutout as the Royals overcame a 3-1 deficit against their cross-state rivals to win the final three games and their first World Series. George Brett went four-for-five to lead the Kansas City onslaught. Tom Glavine, right, and Mark Wohlers combined on a one-hitter and David Justice knocked in the only run with a home run in the sixth inning as the Braves won their third World Series title (first in Atlanta). Andy Pettitte pitched 7 1/3 scoreless innings and Mariano Rivera recorded the last four outs as the Yankees capped a dominant season with their 24th World Championship. Josh Beckett, starting on three days rest for the first time in his young career, dominated the Yankees with a complete-game, five-hit shutout. His rival, Andy Pettitte, who had won 11 consecutive games following Yankees losses, gave New York a valiant effort, holding the Marlins to two runs (one earned) over seven innings. Boston’s Derek Lowe allowed only three hits over seven masterful innings and Keith Foulke finished up as Boston won its first World Series in 86 years. Johnny Damon gave Boston the only run it would need when he led off the game with a home run. Previously Lowe beat the Yankees in Game 7 as the Red Sox overcame a 3-0 deficit to win the ALCS. Freddy Garcia pitched seven innings of four-hit ball and Bobby Jenks got the save as the White Sox completed a sweep of the Astros and won their first World Championship in 88 years. Chicago scored the only run of the game in the eighth inning off Houston closer Brad Lidge on a two-out single up the middle by Series MVP Jermaine Dye. We need a seven-game World Series. This year. There’s nothing like a seventh game in the World Series. It’s a game in a season, and a season in a game. One game. Winner take all. Throughout baseball history, there have been 35 seventh games since the first World Series in 1903. 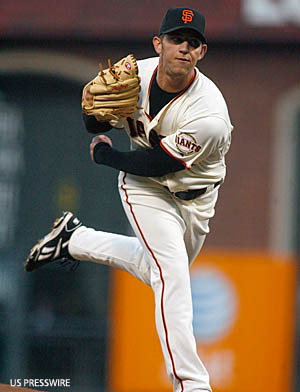 The last seven-game series in 2002 saw the Angels beat the Giants for their only World Championship. The previous year, as the nation recovered from the 9/11 attacks, the Diamondbacks beat the Yankees in seven on a bloop, walk-off single by Luis Gonzalez off Marino Rivera in the bottom of the ninth, pictured left.. Since 1987, the only other seven-game series occurred in 1991 when the Twins beat the Braves, and 1997 when the Marlins beat the Indians, both in walk-off extra inning games. Jack Morris pitched a shutout and Gene Larkin drove in the only run with a single in the 10th inning for the Twins win. Six years later, Edgar Renteria’s single in the 11th gave Florida a 3-2 win and the championship. There have been a total of six walk-off wins in Game Seven overall. The Red Sox beat the Giants in 1912 when some Giant misplays and Larry Gardner’s sacrifice fly against Christy Mathewson enabled Boston to rally for a 3-2, 10-inning win. Walter Johnson and the Washington Senators won their only World Series in 1924, also against the Giants, on a bad hop single by Earl McNeely in the 12th. And in 1960, the Pirates edged the Yankees, 10-9, on a home run by Bill Mazeroski. That remains the only Game Seven in World Series history to end on a home run, pictured right. The St. Louis Cardinals have won seven seventh games (1926, 1931, 1934, 1946, 1964, 1967 and 1982), a record. Not surprisingly, the Yankees have played in the most, winning five out of eleven. The Cards twice beat both the Yankees (1926, 1964) and the Red Sox (1946, 1967) in Game Seven showdowns. The Pirates have the best record at 5-0 (1909, 1925, 1960, 1971 and 1979) and the Giants are 0-4 (1912, 1924, 1962 and 2002). A total of 16 seventh games were staged between 1952 and 1979, nearly half of the all-time total of 35. Six seventh games occurred in the 60s; five apiece in the 50s and 70s. Between 1955 and 1958, the Yankees played four straight seventh games, exchanging wins with the Dodgers and then the Braves. All four of those World Series were won by the road teams, including the first and only championships for Brooklyn and Milwaukee, in 1955 and 1957. The Yankees avenged those losses in 1956 and 1958; they also beat the Dodgers in seven in 1947 and 1952. The last time the Cubs appeared in the World Series, 1945, they lost to the Tigers in Game Seven. There were no seventh games between 1912 and 1924, the biggest gap in baseball history. The Oakland A’s are the only team to win back-to-back Game Sevens, in 1972 against the Reds and 1973 vs. the Mets.